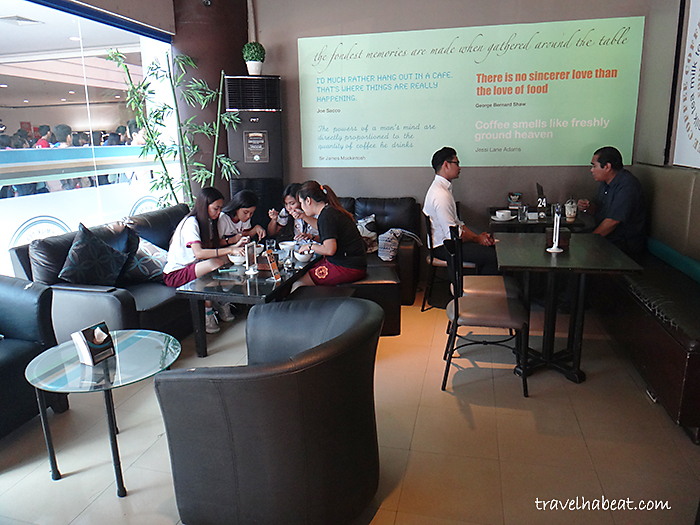 I’ve heard about Caffe La Tea a number of times from one of my good blogger friends, Jerro Santos of GourManila. 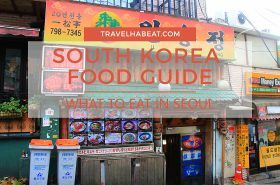 This is why I got really excited when I learned from our Lakbay Norte trip that we will check out the place. 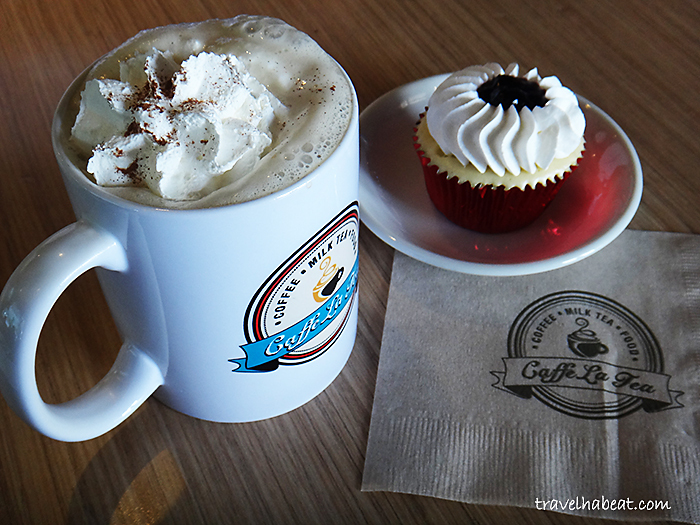 Visiting its pioneer branch in Cabanatuan City, I was eager to find out what Caffe La Tea has in store for us. 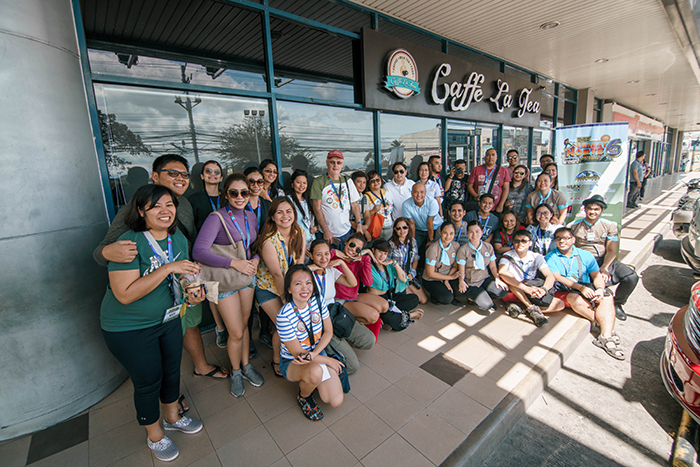 Caffé La Tea welcomed us with a cool vibe. 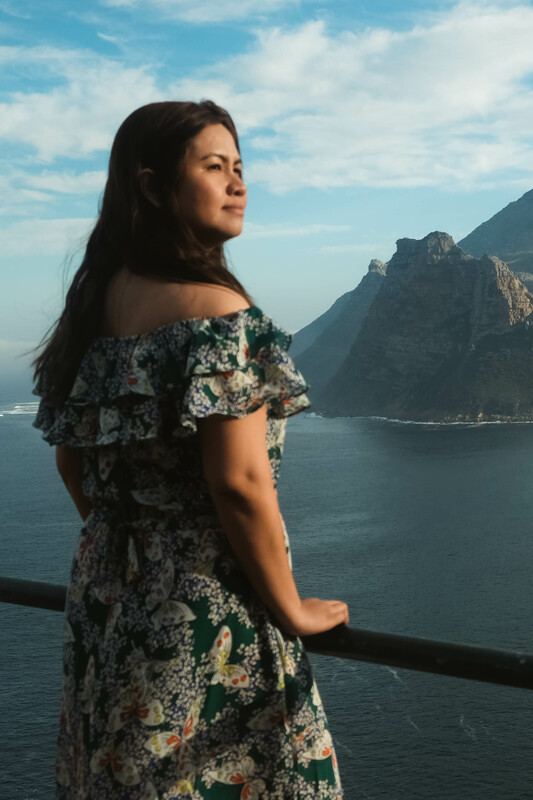 Personally, it gave me a relaxing impression – a place where you would love to meet friends for some overdue conversation. A fan of inspirational quotations, I liked how they decorated their walls with beautiful words. 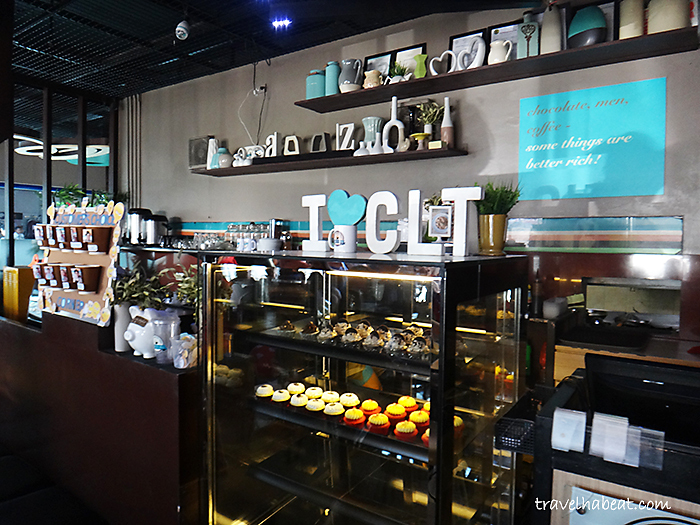 Caffé La Tea’s simple yet modern interiors reminded me of the casual Manila life. The sight of the comfy sofas was quite a “spoiler” alert. After our group was able to settle, we started peeking at their menu. They noticeably have a wide range of milk tea at an expectedly cheaper prices compared to the ones sold in Manila. All milk teas are served with tapioca pearls. 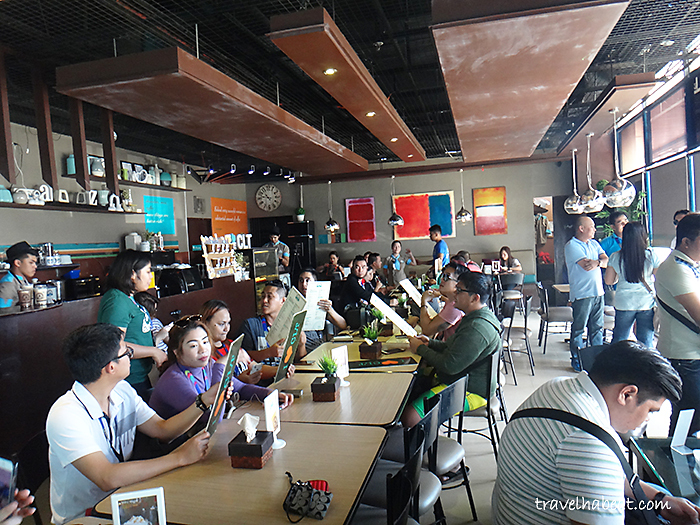 They have interesting flavors like Mangga Milk Tea, milk tea served with Philippine mango. 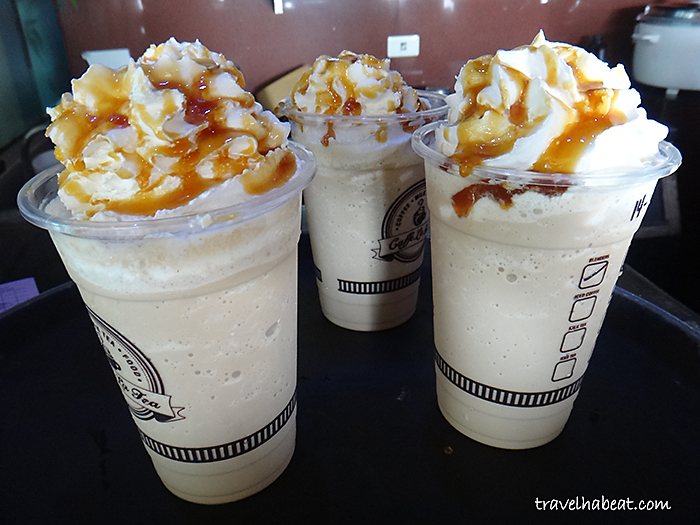 Aside from the regular milk teas, they also have a variety of yakult milk teas, fruit teas, and milk tea smoothies. How cool does that sound? Even cooler as you might think, they offer homemade Rocksalt and Cheese (RS&C) foam – their bestseller! 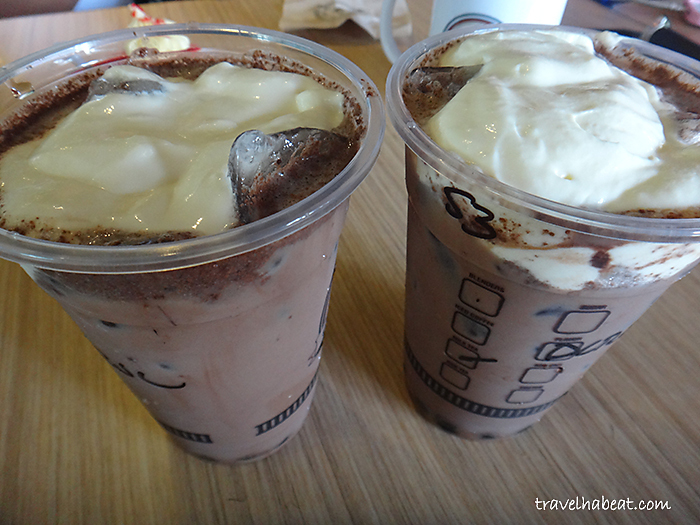 I tried the Dark Choco + RS&C (Dark Cocoa + Milk Tea + RS&C) and it became a personal favorite in an instant! Many in our group also tried their Fuzzymelon + RS&C. 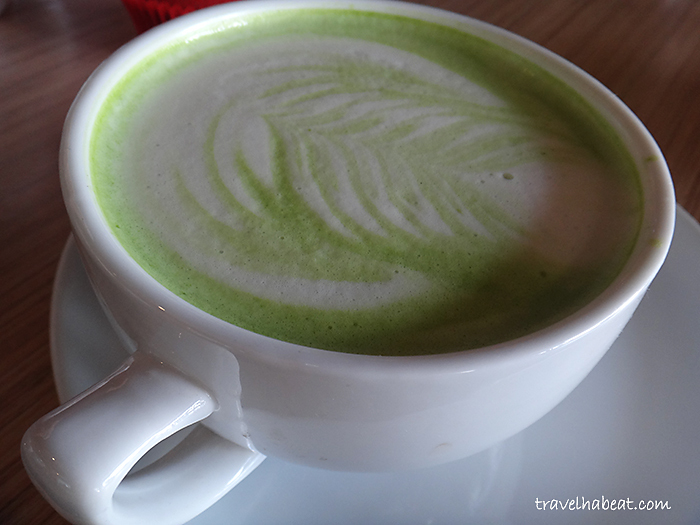 Aside from the cold drinks, someone from us ordered their Green Tea – nothing special though as you may note. 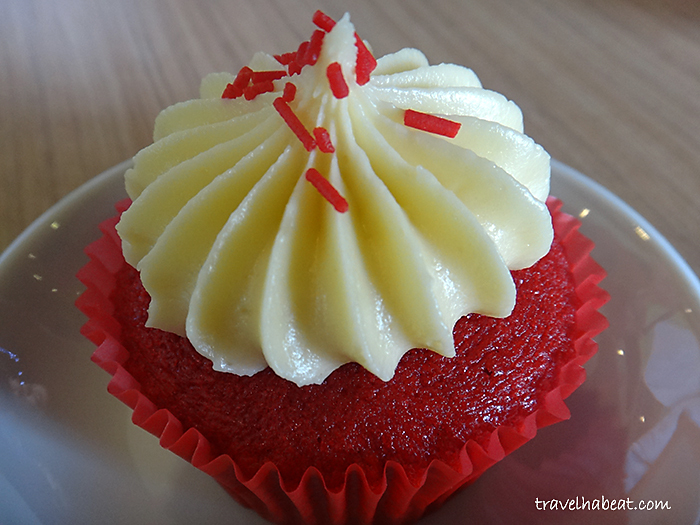 Oh, and they also have cute cupcakes that you can pair with your drink for some light afternoon snack. 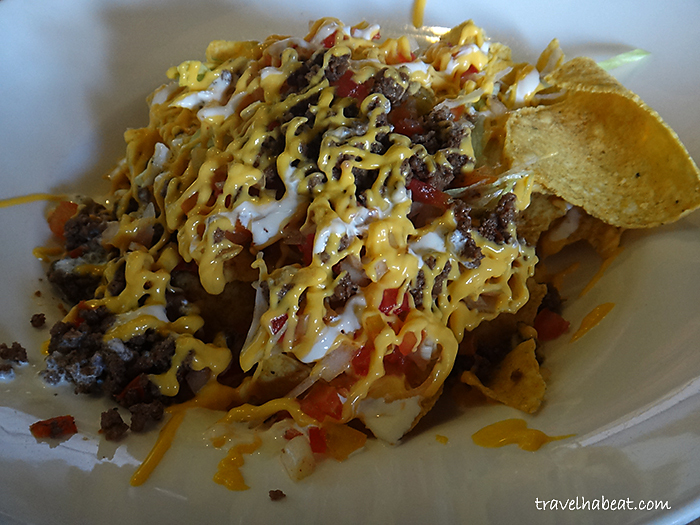 We were also able to try some of their best appetizers – Deviled Tofu, Chiz Buco, and Cheezy Beef Nachos. 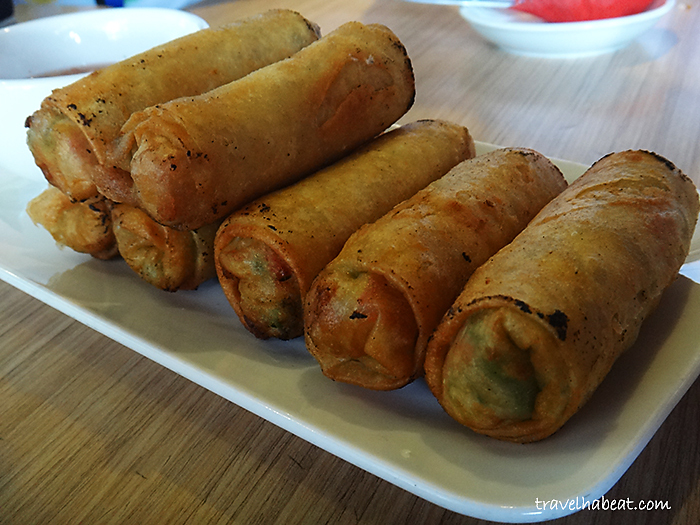 Chiz Buco was more than just the traditional deep fried lumpia – it was a combination of buco (coconut meat), vegetables, ham, and cheese in lumpia wrapper. I never thought buco would taste that good in lumpia. 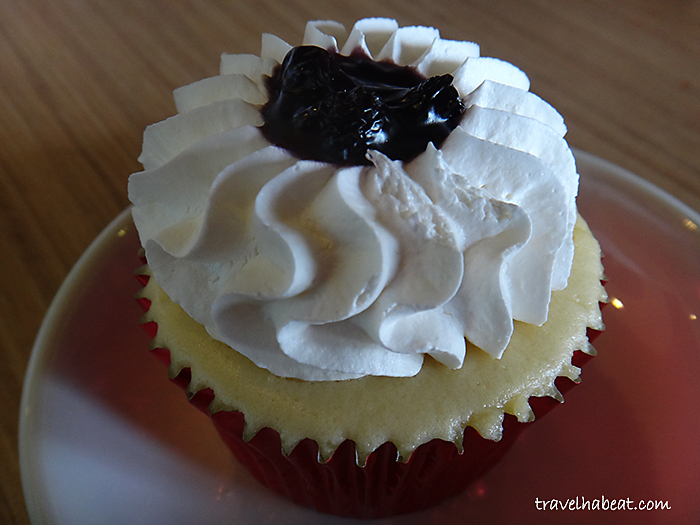 Dipped in vinegar, Chiz Buco was definitely one of our favorites! 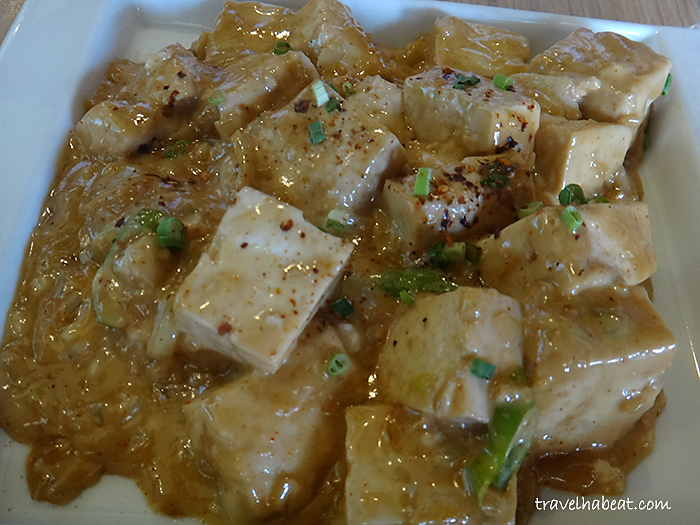 Deviled Tofu was also a personal favorite for me – I love tofu. And the bonus part? The spicy and flavorsome sauce. I’m sure some would even want to pair it with rice. Two thumbs up for the Cheezy Beef Nachos, too! I was glad that I was able to finally try Caffé La Tea afer hearing a lot of good things about it for a long time. 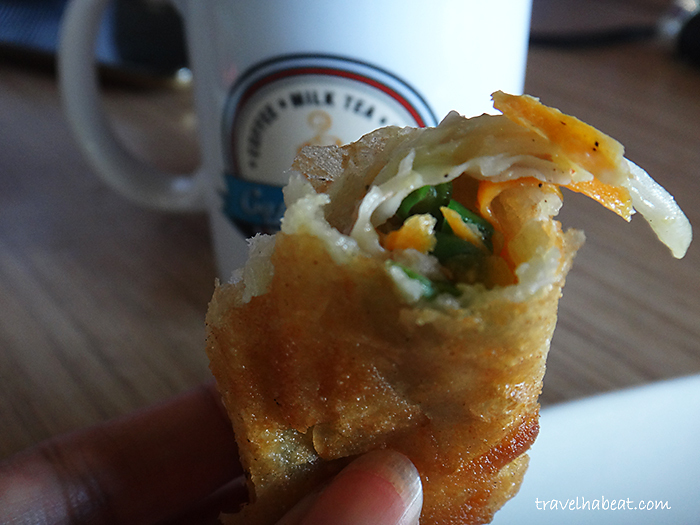 The fusion of milk tea and traditional Filipino food is quite interesting and unique to try. Often, when you hear about the popular milk tea shops in the metro, you’d discover that it was inspired from places like Hong Kong. 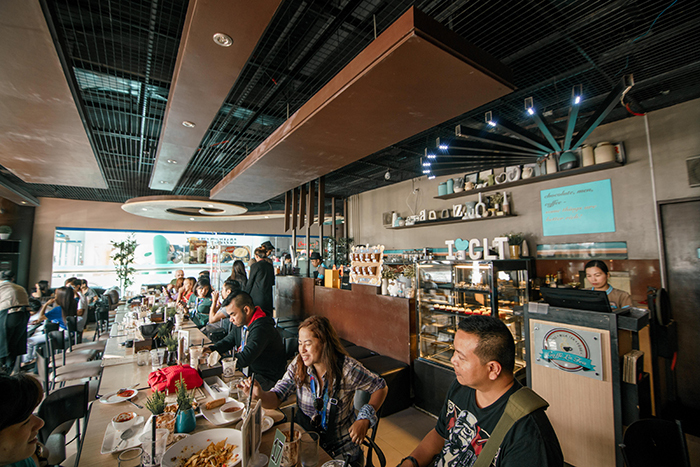 Caffé La Tea proudly incorporates a Filipino touch in their menu. Hopefully, we are able to give more support to our homegrown restaurants.